Yoga has gained a lot of attention in India in recent years. Yoga has been around for thousands of years. People know the benefits of Yoga that it has now migrated to Unites States has gained amazing popularity. Yoga for kids / children is also essential to make them stay fit and healthy. Lets go in detail about benefits of yoga for kids /children. The word yoga means “Union” in Sanskrit. Yoga is union of physical body and mind (thoughts and feelings). It helps in over all development of the individual. So people who practice yoga feels relaxed, happy, stress free and overjoyed by their life. Till lately only adults and senior citizen were taking advantages of yoga. But now even kids are exposed to this form of exercise where in kids can overcome their stress. Unlike before, today’s kids are under lots of stress as compared to previous generation. Kids are stressed with homework, never-ending after school pursuits and interests, peer pressure, Over scheduling. So with so much of mental and physical stress yoga helps them to relax. Moreover, yoga builds self-respest and self-esteem. 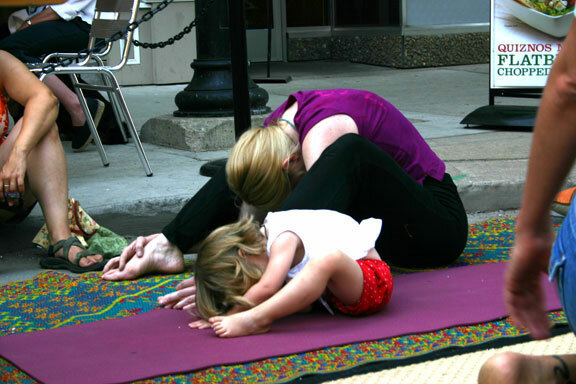 When a child practices yoga there is a rare opportunity to experience failure or being wrong. Yoga is a best option for kids and children who are shy of group activities or physical activities for fear of being last in the group. The other athletic children has opportunity to excel in their physical activities an sports. It increases the physical flexibility of the children: In any form of exercise all the muscle groups are involved and kids learn to use all thier muscles. Enhances Concentration: There are different forms of yoga exercise. Some are slow and some are fast. This different pacing of exercise allows child to learn self control and thereby also enhances focus and awareness. Brings in Metal Calmness: Yoga asana is precisely physical exercise. Concentrating and watching each and every move of the body helps to bring calmness to the mind. Yoga also teaches you different breathing techniques and meditation techniques which allows disengagement from present thoughts which can help calm the mind. Stress Deduction: Any form of physical activity helps to relive stress and yoga is considered to be on the top of the list. The emphasis yoga places on ‘being in the moment’ can also help relieve stress as you learn to not dwell on past events or anticipate the future. Yoga and partnership: Yoga has also been known to help children with behavioral issues relate in a rationally healthy way with other children. Yoga helps children focus and concentrate while building a sense of self awareness. Agape Yoga Studio goes on to say that yoga can be used to help improve a child’s self esteem and relationships. Teaching kids “partner poses” helps them work together in a safe environment that is conducive to partnership and learning team skills. It’s a great way to facilitate strategic “play time” while your kids, siblings, and their friends have a really good time. Yoga and ADD: Kids who are hyperactive can also benefit from yoga. Yoga naturally teaches calming, relaxing breathing techniques, and the focused time in specific postures helps still your children. Children with hyperactive tendencies need a higher amount of movement and yoga can help their impulses move in a positive direction.According to a 2004 study of 8- to 13-year-old boys with ADD published in the Journal of Attention Disorders, practicing yoga once a week for five months resulted in increased concentration, mental and physical discipline and improved confidence among study participants. Parents of the study participants reported that their sons were less hyperactive. Laugh with them about how hilarious you both look in Downward Facing Dog. Slap them a high-five when they make it through their first sun salutation . Use a children’s yoga ball and enjoy watching them learn balance as they roll off a few times. The ultimate benefits of yoga is to create a desire in people to “live to give,” which establishes peace and stillness through an awareness of self and others. This is a fantastic teaching moment to have with your children about leaving a legacy with their lives. An ancient proverb says, “Train up your child in the way he (she) should go and in their old age, they will not depart from it.” Train your kids to be Warriors for good! One great example of a Youngest Yoga Trainer “Shruti Pandey” from North India has learnt yoga in 6 months and she can perform all 84 Yoga Positions. She is now training adults. She made Limca Book Of Record at age of just 5 years. 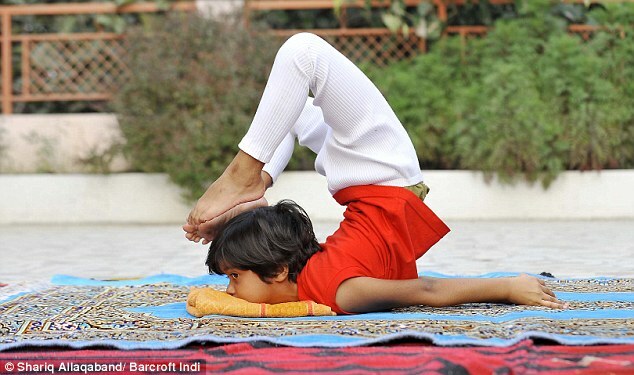 So we can get a inspiration from this small child and perform yoga to all our children. Let me know what you think about Kids / Children Yoga? You can also buy DVD or Book and learn and perform yoga. There are various DVD’s & Books available in market.